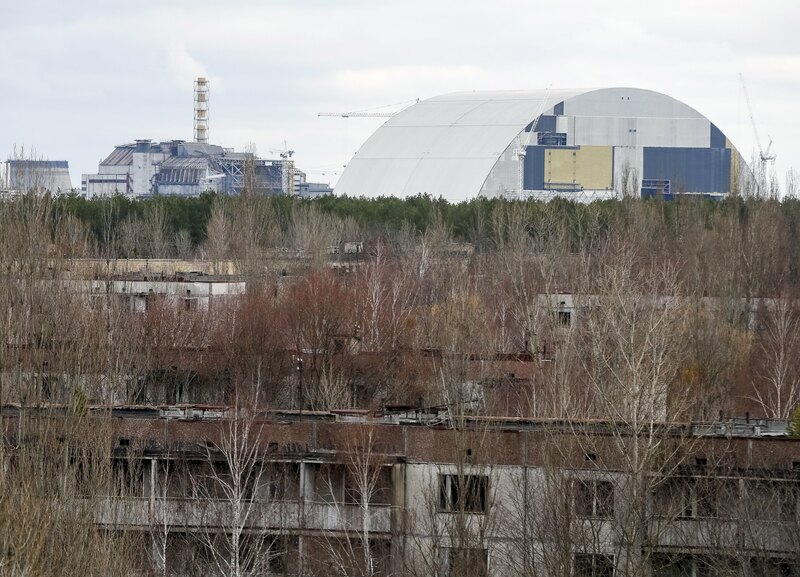 CHERNOBYL, UKRAINE - In the middle of a vast exclusion zone in northern Ukraine, the world’s largest land-based moving structure has been built to prevent deadly radiation spewing from the Chernobyl nuclear disaster site for the next 100 years. On April 26, 1986, a botched test at the Soviet nuclear plant sent clouds of smoldering nuclear material across large swaths of Europe, forced over 50,000 people to evacuate and poisoned unknown numbers of workers involved in its cleanup. A concrete sarcophagus was hastily built over the site of the stricken reactor to contain the worst of the radiation, but a more permanent solution has been in the works since late 2010. Easily visible from kilometers away, the 30,000 ton New Safe Confinement arch will be pulled slowly over the site later this year to create a steel-clad casement to block radiation and allow the remains of the reactor to be dismantled safely. “We’ve already gone through a number of very risky stages. 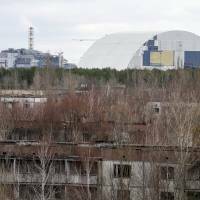 … We always have fears, we are people, but there is nothing technical left that is a challenge,” said Vince Novak, the nuclear safety director of the European Bank for Reconstruction and Development (EBRD). EBRD has managed the funding of the arch, which has cost around €1.5 billion ($1.7 billion) and involved donations from more than 40 governments. Even with the new structure, the surrounding zone, which at 2,600 sq. km (1,000 sq. miles) is roughly the size of Luxembourg, will remain largely uninhabitable and closed to unsanctioned visitors. Nature has been quick to reclaim the area’s abandoned infrastructure. Trees sprout from the rusted roofs of apartment blocks in the ghost town of Prypyat, built to house Chernobyl power plant workers. Stray shoes and family photos still fixed to bedroom walls show the speed with which families were evacuated. The upcoming 30th anniversary of the disaster has shone a new light on the long-term human impact of the worst nuclear meltdown in history. 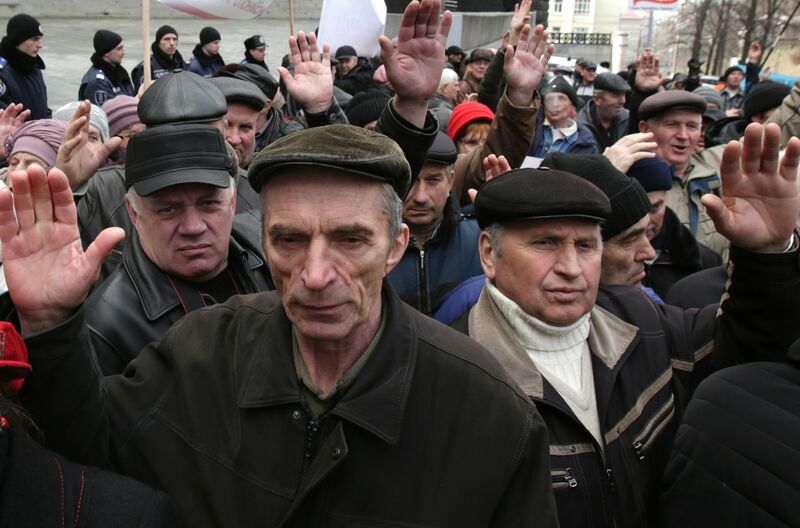 On Wednesday, Ukrainians who were involved in the cleanup of Chernobyl — the “liquidators” — protested in central Kiev to demand the government acknowledge their sacrifice with improved social benefits. “Thirty years ago, when we were young, we were saving the whole Earth from a nuclear explosion. And now no one needs us. 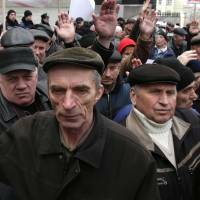 Absolutely no one,” said one of the protesters, former liquidator Lidia Kerentseva.